It’s important. But not necessary beyond a certain level. If it was up to me, Education up to the SSCE level was going to be compulsory. I believe the basic knowledge from Secondary School is enough for people going into non-professional occupations. What is the need of getting a university education and ending up on the factory line? No need. To be totally honest, going to school is not for everybody; some people just don’t have the capacity and I don’t believe in flogging the living daylight out of them just to make them learn. If they had it in them, they will excel naturally. If you look at people that turn out to be the stereotypical ‘olodos’, you’ll notice that most of them have other talents. For example, there was this boy in my class back in secondary school. He was 22 by the time we were graduating. Tell me if that makes any sense to you (Even though people say it’s never too late). This boy just made it through by ‘let my people go’ when he could’ve been somewhere rubbing shoulders with the RVPs or the Kanyes by now because he was a really good footballer and a good rapper too. I know you’re tired of hearing this, but look at Albert Einstein that teachers called dumb. He’s a science great. Richard Branson is dyslexic. He dropped out of high school. Roman Abramovich is also a college dropout. He’s a billionaire. Many daddies that didn’t see the four walls of any school but are learned enough and providing for their families sufficiently enough. I can go on but I’d rather not. Isn’t it finished when Phd holders can apply for a job to be a driver? After all that education, one will now be driving lorries up and down the interstate. That wasn’t the plan. The universities keep on churning out graduates (Legitimate ones plus the ones that cheated through/paid through in cash or kind) and there are no jobs for them. It’s sad to see a graduate becoming a cobbler. If I knew I was gonna end up as a cobbler I would have sat down patiently and learnt the trade with all my heart instead of wasting away in one University. Even though it’s not my headache, When people say they’re studying things like Marine Biology or Physics I always wonder, where are you gonna work? Ota Farms? Aren’t you convinced to drop out yet? AH. Uncle Maf you haven’t dumped them Kaplans yet? Okay. The ones that even amaze me are the ones that have already ‘made it’ and just decide to go to the University because they just want a degree like a degree is one fashion item. I cannot blame them though, it’s the Nigerian mentality. If I didn’t gain admission into the University, I’d probably have gone to learn a trade. Maybe sewing. People are making it that way. At the end of the day, it all boils down to fulfillment. Maybe fulfillment for one is to be carrying SSCE, BSc, MSc, LLb, FACE, BPharm all over the place with nothing to show. It all depends on you. Dyslexia. Impaired ability to learn to read. 3 Responses to "35. On Education"
Like seriously, why go into the university to study a useless course and end up being jobless for years??? It’s just stupid. I know somebody that studied transport management and she’s still jobless… Does she want to work with NURTW or what?? 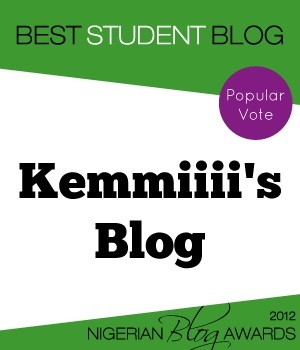 You like this blog so much?? Most Images are 'borrowed' from Google Images. Others are from Twitter, BBM and Instagram. This'll last till I can lay my hands on Graphic Designing.